Come and learn how to make colorful and unique living art. Design your own art piece using our colorful bacteria. 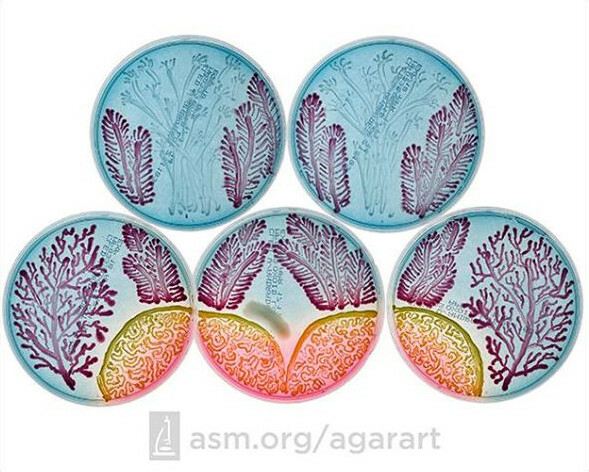 Counter Culture Labs has been partnering with the American Society for Microbiology for their yearly Agar Art Contest (http://www.asm.org/agarart). This workshop will cover the basics of agar preparation and bacterial growth. Participants will be able to create their own works on provided petri plates. Artists will also be given access to a laser cutter and 3-D printer for more ambitious works. Selected art works will be on display at the SynBioBeta Global Synthetic Biology Summit while they continue to develop.